Since everyone seems to come out with a food issue once a year we thought we would jump on that food wagon. Much has been written about the growth of nutritional awareness, the farm to table movement, food deserts, school and community gardens and national obesity rates, but what amazes us is how it has permeated our work in big and small ways. It has started to feel like every other project we work on includes an area dedicated to growing vegetables. Some take the form of a couple of modest raised planters, and in others a whole program is dedicated to producing and distributing fresh produce to the surrounding community. I thought I would do some simple math, and the resulting numbers were pretty startling once I crunched them. 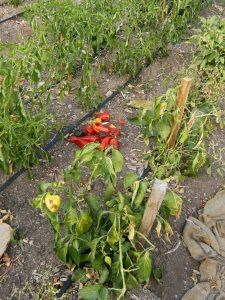 Over the past three years 20% of our projects have included vegetable gardens. For the statisticians among you that was out of a total of 65 projects. The majority of those were schools, and the presence of gardens in schools is now so commonplace that no one should be surprised when we include areas for growing and learning. However, the fact that over a quarter of that 20% were not school projects suggests that the national fresh food movement is growing beyond the classroom. A recent New York Times Magazine’s issue on Big Food is required reading for everyone, http://www.nytimes.com/indexes/2016/10/09/magazine/index.html?action=click&contentCollection=magazine&region=supplemental&module=undefined&contentPlacement=2&pgtype=sectionfront. This inevitable industrialization of the business of agriculture has resulted in significant concerns at the consumer level, and fuels our desire to control, at least in part, our own food production and consumption. This year the Mental Health Center Denver opened their new Dahlia Campus for Health and Wellbeing. Before we started working on this project I knew nothing about their organization, but wow! what an amazing place. They recognized that there is not only a severe lack of mental health services in poorer neighborhoods, but that the underlying causes that can place stresses on individuals and families are rooted in physical health. They started by locating their new campus at the nexus of two traditionally poor neighborhoods in north Denver. This area is in a food desert (few stores carrying fresh produce), and is under-served by public transportation, daycare facilities and subsidized health care. 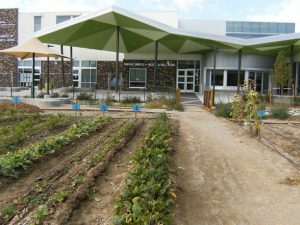 The Center realized that they couldn’t just treat symptoms, and as a result the new campus has become a community center with playgrounds, daycare, a dental clinic, a community garden, urban farm and hydroponic greenhouse. Vegetables and fish can be harvested, prepared and cooked in the Center’s kitchen. The Center not only treats the whole family but also the whole person. Oh, and did I mention that the campus sits in a beautiful landscape as well. The Westwood Food Co-op is located in a poor Denver neighborhood . Westwood has the largest youth population in Denver, and the highest rate of childhood obesity, and has not had a grocery store in the neighborhood in over a decade. The member-owned Co-op addresses this reality in three ways. 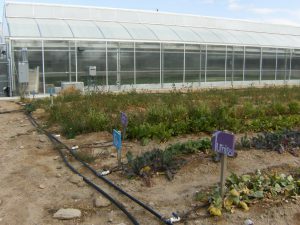 They serve as an outlet in the neighborhood for fresh produce, they produce much of what they sell, and they have an outreach program that educates and helps families grow vegetables in their own yards. As with the Mental Health Center, the vision for the Co-op’s physical location determined that the place become a welcoming center for more than just growing and selling produce. The site includes an education and fitness center, commercial kitchen and education program, and dynamic, exterior social spaces which are flexible enough to hold everything from farmer’s markets to quinceanera celebrations. On one edge of the central plaza is the greenhouse and urban farm, and on the other an outdoor amphitheater that can function as an outdoor classroom, performance space, and focal point for informal gatherings. 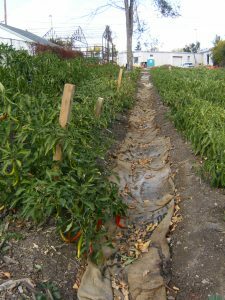 In addition, there is a demonstration garden and community garden plots. The significance of providing a dedicated space for people to turn soil, plant seeds and harvest the results is potent. Both these projects are inspirational, and have inspired us to make a New Year’s resolution to ask the question at the inception of every project whether there is a place for a garden. We think you should too, and when a client says yes, let us know.